CBS Sunday news anchor John Dickerson will be replacing Charlie Rose on "CBS This Morning," according to three sources familiar with the decision. The "Face The Nation" anchor will take Rose’s spot after several sexual misconduct allegations came forward from eight women who worked with Rose over the years, HuffPost reported. 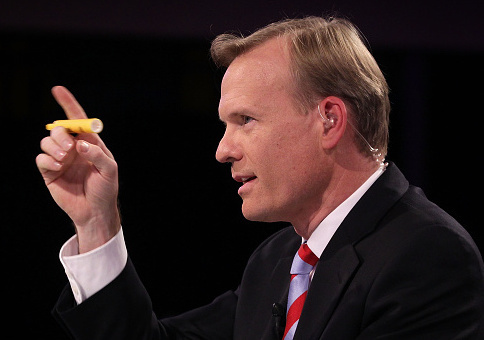 Dickerson has been with CBS since 2009 and has been hosting "Face The Nation" since 2015, having taken over for Bob Schieffer. It is unclear if Dickerson will continue to host the CBS Sunday news show as he joins "CBS This Morning." The CBS host will be joining co-hosts Norah O’Donnell and Gayle King for the morning show that ranks third in ratings behind ABC’s "Good Morning America" and NBC’s "Today" show. This entry was posted in Culture and tagged CBS, Charlie Rose, Face the Nation, John Dickerson, Sexual Harassment. Bookmark the permalink.